PTWP Event Center has chosen partners which will help the company to manage the International Convention Center (ICC) and Spodek. The facilities were taken over by the licensee on 2nd of May. 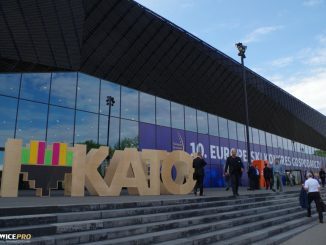 The City Hall of Katowice and PTWP Event Center have signed an agreement of concession for services involving organization of events and management of the International Convention Center and the „Spodek” sport and entertainment hall. The contract will enter into force on 2nd of May this year. More than twenty large events and business meetings will take place in the International Convention Center by the end of this year. A new three-day event is planned to be held in the International Convention Center (ICC) in autumn this year. Forum for Freedom and Growth will take place between 28th and 30th of October.